Below is a response to an insurance denial. The work is a product of Nina Mahmud (our research co-ordinator) and my summation of the evidence. I think it is quite impressive. The denial was overturned. I am writing on behalf of your insured, Mrs. Hurting Patient (Member ID: xxxxx), to appeal the non-coverage decision issued by Recalcitrant Insurance Services of a medically necessary revision of an occipital nerve stimulator to treat chronic headaches. The denial letter from Recalcitrant Insurance states coverage for revision of an occipital nerve stimulator is denied on the grounds that “The services are not eligible for coverage because your plan does not cover unproven procedures. To be considered proven, services must be recognized as safe and effective for the diagnosis or treatment of a specified condition according to clinical evidence published in peer-reviewed medical literature.” The letter goes on to say “Current medical studies have not shown that this treatment is safe and effective for your condition. Therefore, your health plan will not cover the requested service.” However, as you will find below your supposition is incorrect. Neuromodulation is a common, scientifically proven and valid treatment for intractable headache, and is becoming the gold standard treatment for refractory headache. You will find that clinical evidence published in peer reviewed medical journals clearly demonstrates the safety, efficacy, and cost-effectiveness of this recommended headache treatment. Please evaluate the published research outlined below and reconsider your denial of coverage for this clinically proven treatment. Mrs. Patient is a 37-year-old woman with an 18-year history of occipital neuralgia. She suffers from debilitating refractory chronic migraines that have worsened in severity and frequency. The only time she experienced a reprieve from her chronic pain was following implantation of an occipital nerve stimulator on May 09, 2007 (See Dr. Cummins notes) for occipital neuralgia. Unfortunately, in April 2011 a lead likely fractured and one of the electrodes stopped functioning, and since then ceased to provide relief. The patient, a mother and wife, as well as an employed nurse has been unable to work and been forced to obtain disability since the stimulator stopped working. It was the only treatment, which provided enough relief so that she could be a functioning member of society and her family. Severe recalcitrant headache, as debilitating as spinal cord injury or dementia, is surprisingly common, and she is not alone. As in the case of Mrs. Patient, due to intractable chronic migraines, she has become totally disabled, suffering severe pain and impaired daily, family, social, and occupational life. She is part of the 10% who suffer from intractable migraines for more than 20 days per month. The overall societal and economic impact dictates identifying more effective and therapeutic measures to treating chronic refractory migraines. Disabilities associated with migraines are substantial and pervasive, and finding interventions and treatments to address this highly prevalent and disabling disease are invaluable; not only in Mrs. Patient’s case, but to society as a whole. Intractable is defined as uncontrollable, refractory or unmanageable and the term can be used for a headache that required either acute or preventative treatment. The term intractable implies disability, since the headache is frequent and untreatable. A patient being considered for treatment of intractable headache should therefore be disabled by standard scales, such as the Migraine Disability Assessment Questionnaire Scale (MIDAS) or Headache Impact Test (HIT-6) (see Appendix A- Scales Descriptions). Patients, with headaches deemed intractable, do not respond to regularly approved and other conventional preventive therapies. Chronic migraines are described as migraine headache occurring on 15 or more days per month for more than 3 months in the absence of medication overuse. Cluster headaches is defined as a primary headache disorder characterized by recurrent attacks of excruciating unilateral periorbital pain, usually with evidence of ipsilateral cranial autonomic hyperactivity, including lacrimation, conjunctival injection, ptosis, or meiosis. Occipital neuralgia is a paroxysmal jabbing pain in the distribution of the greater or lesser occipital nerves or of the third occipital nerve, sometimes accompanied by diminished sensation or dysaesthesia in the affected area. It is commonly associated with tenderness over the nerve concerned. The pain is described as sharp, shooting, stabbing or electrical, preferentially unilateral and remitting, radiating to the occipital and frontal areas. Recalcitrant Insurance Services, Inc. denied coverage of an occipital nerve stimulator based on the incorrect assumption that an occipital nerve stimulator implant is an unproven procedure for the treatment of occipital neuralgia and/or chronic migraine disorders. However, this conclusion is contrary to the clinical evidence published in peer-reviewed medical literature.Mounting medical evidence supports the significant potential as an effective treatment and also the safety and efficacy of occipital nerve stimulation for the pain management of refractory chronic migraine and occipital neuralgia. When performing a literature review on occipital nerve stimulation for the treatment of intractable chronic headaches, a number case reports, case series, prospective and retrospective studies were identified. Summaries of these evidence based studies revealed a consistently high response rate for intractable chronic headaches and particularly for occipital neuralgia. All of the articles reported positive outcomes including immediate and significant improved pain relief, reduced frequency, intensity, and duration of headaches with reduced medication consumption, even decades after the onset of the headaches. Furthermore, the headache attacks returned almost immediately when technical problems occurred with the occipital nerve stimulator. This indicates that the stimulator has much more than a placebo effect: rather a profound treatment effect, as the patient becomes an “n-of-one” study- perhaps one of the most powerful study designs in existence. An additional strength is the long duration of follow-up, which support that the treatment is safe and effective. These findings are similar, if not identical, to Mrs. Patient’s history with intractable chronic headaches, occipital neuralgia, and the occipital nerve stimulator. The lives of the patients in the studies who did not respond to regularly approved medical treatments, as with the case of Mrs. Patient, were similarly destroyed. The following expands on the existing published peer-reviewed medical literature regarding occipital nerve stimulation for the treatment of headache disorders. In 1999, Weiner and Reed14 reported on a case series of 13 patients treated with occipital nerve stimulation for intractable occipital neuralgia. At the median follow-up of 2 years (18 months to 6 years) two-thirds of the patients had more than 75% pain relief, and the remaining one-third had 50% to 75% pain relief. All patients reported good to excellent pain relief and required minimal oral analgesic medications. One patient underwent explantation of the device 3 years after the initial implant following evidence of complete resolution of neuralgia. Reed et al15 reported 7 patients with chronic migraine and refractory chronic migraine headaches who received occipital nerve stimulation implants. With follow-up ranging from 1 to 35 months all patients reported a full therapeutic response. All of the patients reported marked improvement in headache frequency and severity, resolution of associated neurological symptoms, and return to a fully active lifestyle. Most impressive were the improvements in patient function, particularly notable in the 3 patients who were functionally incapacitated, yet responded so well that all returned to their full pre-morbid lifestyle including college and work. The following are summaries of each patient’s case. Case 1: A 36-year-old women presented in June 2005 with history of chronic migraine headaches since childhood, which 5 years previously progressed to daily severe, refractory, throbbing headaches, associated with nausea, vomiting and photophobia. Supraorbital and greater occipital nerve blocks provided temporary relief. In April 2006 a bilateral combined occipital nerve stimulation system was implanted with immediate, near complete resolution of the headache. At the patients last evaluation in January 2009 she reported being largely headache free, indicating about three mild headaches per month with respond to sumatriptan. Case 2: A 49-year-old women presented in September 2006 with daily incapacitating headaches. They begun as a teenager; however, over the 2 years prior to presentation had progressed to severe daily, unilateral throbbing headaches interspersed with fleeting, knifelike pains in her eye and jaw. Flashing lights and transient paresis of her left arm were a common prodrome approximately 2 hours before headache onset. Significant visual loss occurred and 50% of the headaches, and photophobia and phonophobia were common. Ultimately, the headaches became refractory and incapacitating to the point of full disability. The patient was forced to resign her corporate executive position. In September of 2006 bilateral occipital leads and supraorbital leads were placed. Thereafter, the headaches and all neurological symptoms (visual loss, paresis) resolved. She remained headache free, off medications and back to full functional status. Case 3: A 50-year-old women presented with a 30-year history of progressively severe, intractable, daily migraine headaches. Greater occipital and supraorbital nerve blocks provided only temporary relief. Rendered completely disabled, the patient was forced to resign her supervisory position at work. In August 2007, a bilateral combined occipital nerve stimulation system was implanted, and the headaches promptly and completely resolved. The patient used the stimulator 50% of each day and occasionally could go a day completely without it. If a headache did reoccur, it promptly resolved with resumption of the stimulation. Thereafter, the patient remained completely headache free off medications and returned to a full activity schedule, including work. Case 4: A 71-year-old presented in November 2007 with a 4-year history of chronic, intractable daily headaches. In December 2007 the patient responded well to a bilateral combined occipital nerve stimulation system. Thereafter, the patient has remained headache free off medications. Case 5: A 57-year-old male presented in January 2008 with a 1-year history of severe, chronic, intractable daily headaches. In March 2008, a bilateral combined occipital nerve stimulation system was implanted. Subsequently, the headaches and neurological symptoms completely resolved off medications. The frequency of sever headaches decreased to one every 3 months. Case 6: A 20-year-old women presented with an 8-year history of migraine headaches. In 2003 the headaches escalated in severity and in 2005 she was admitted to an in-patient headache specialty hospital, where she underwent an extensive diagnostic evaluation and treatment protocol. The headaches responded to zolmitriptan, and in September 2006 she enrolled in college. However, a year later, they progressed to the point that she had to withdraw from college and return home. The patient was experiencing severe daily, throbbing hemicranial headaches, associated with nausea, vomiting and photophobia that became refractory to all therapeutic measures. At the time of referral she was completely disabled. In May 2008, a occipital nerve stimulation system was implanted, which provided prompt and complete resolution of the headaches. Thereafter, she remained headache free and returned to college that autumn. At her last evaluation, 10 months post-implantation, she was completely headache free and off medications. Case 7: A 24-year-old women developed headaches as a teenager. Six months prior to presentation they progressed to severe daily headaches. Visual changes typically heralded the onset, whereupon a severe, throbbing right hemicranial (occasional holocephalic) headache would rapidly develop and associate with nausea, vomiting and noise intolerance. The headaches lasted the rest of the day and forced the patient to bed. All treatment efforts failed, as she became completely disabled and homebound. In February 2009, a bilateral occipital nerve stimulation system was fully implanted, whereupon the headaches promptly resolved, and she has remained headache free off medications thereafter. Oh et al16 reported on 20 patients suffering from intractable migraines (10 occipital neuralgia and 10 transformed migraines). Duration of symptoms ranged from 2 to 25 years. At 1-month follow-up, 17 patients reported excellent pain relief with stimulation (>90% pain reduction), and 3 patients reported good pain control (75-90% pain reduction). Of the 18 patients who had completed 6-month follow-up, 14 reported continued excellent pain relief, 2 reported good pain relief, 1 fair pain relief (50-75% pain reduction), and 1 reported poor pain relief with stimulation (<50% pain reduction). Improvement in their quality of life was reported by 19 patients (95%) and all stated that they would undergo the procedure again. Rodrigo-Royo et al6 reported on 4 patients who received occipital nerve stimulation implants for refractory and intractable cervicogenic headaches. The four patients all had long-evolving, persistent, severe, uncontrolled, and localized headaches that have failed to resolve with other management options. In all patients, occipital nerve stimulation yielded good (>50%)or very good (>70%) results with complete resolution of the patient’s continuous pain complaint, a reduction in the frequency, intensity, and severity of the episodic pain, and improvement in nighttime rest and daily life activities. Also, all patients were either able to reduce or discontinue medication usage entirely. Schwedt et al11 reported on two patients who received occipital nerve stimulation for primary headache disorders. Both patients reported to be pain free at follow-up. Case 1: A 35 year-old-man with a history of chronic cluster headaches received occipital nerve stimulation. The patient reported of multiple attacks that occurred with a variable frequency and up to three times per day. Headaches and medication side effects had resulted in disability from work, financial difficulties, and deficits in concentration and memory. He had no family history of cluster or migraine headaches. He tried multiple prevention medications, abortive medications, and intramuscular injections but all were ineffective in reducing pain or frequency. Occipital nerve stimulation was implanted in an attempt to ameliorate the patient’s long-standing disabling and medically refractory cluster headaches. After implantation, the patient reported a 100% improvement in headache frequency, duration, and intensity, and a significant reduction in usage of acute pain medications. Case 2: A 44-year old women with a 12-year history of medically intractable hemicrania continua. The patient’s past medical history was significant for infrequent non-disabling headaches since the age of 19. There was no family history of headache. The patient described the pain as ‘drill-like’, constant, and continuous. Four to five times per week she developed painful exacerbations lasting 30 minutes to 4 days with an average duration of several hours. She was unresponsive to preventative medications. After occipital nerve stimulation implantation, the patient had significant improvement postoperatively in terms of the frequency and severity of her headaches. At follow-up, she reported being pain free. Johnstone and Sundaraj17 reported on 8 case studies of patients with intractable occipital neuralgia of which 7 (3 women and 4 men) received occipital nerve stimulation. The average age of the patients at implantation was 46 years (range 30-65 years). Pain scores, analgesic requirements, and improvement in activity levels measured the impact of occipital nerve stimulation. At a mean follow-up of 25 months (6-47 months), in 5 of the 7 patients there was a reduction in the Visual Analog Scale score (VAS) (see Appendix-A) post-implantation. The total quantity of opiates taken after implantation showed a marked reduction. Also, two patients acquired full-time employment and one is able to play basketball again. Burns et al12 reported on a case series of 8 patients with chronic intractable cluster headache who received occipital nerve stimulation. At the time of the operation, the median duration was 6 years (2-12 years). At the median follow-up of 20-months (8 to 27 months), 75% of the patients reported responses that were sufficiently meaningful for them. Improvements occurred in frequency and severity of attacks. Two (33%) patients reported a substantial improvement (95% and 90%) in their attacks; three (50%) patients reported a moderate improvement (80%, 60% and 40%); and one (12%) patient reported a mild improvement. Interestingly, it was reported that attacks returned almost immediately, within hours or days, when the device malfunctioned (e.g., battery depletion). However, once the device was turned back on, or after fixing the fault, all patients improved immediately. The eight patients reported that they would recommend the treatment to similarly affected patients. Trentman et al18 reported on two patients with occipital nerve stimulation for refractory headache disorders like migraine and cluster headache. Case 1: A 27 year-old women suffered from medically intractable chronic migraine. She was refractory and intolerant to multiple preventive and acute therapies including triptans, antiepileptic drugs, tricyclic antidepressants, acetaminophen, NSAIDS, and opiates. She was referred to the chronic pain clinic for a trial of bilateral occipital nerve stimulation. Upon device activation, the patient experienced paresthesias in her bilateral occipital regions and a dramatic decrease in her headache intensity and frequency. Five years after her implant, the patient continues to reap significant benefit from her occipital nerve stimulation. Case 2: A 41-year-old woman was referred to the chronic pain clinic with a 12- month history of left occipital and parietal region headaches, described as constant and aching. She was refractory to multiple treatments including medications such as indomethacin and other nonsteroidal anti-inflammatories, gabapentin, topiramate, tiagabine, sumatriptan, and amitriptyline. She underwent an occipital nerve stimulation and experienced complete pain relief. The patient enjoys excellent pain relief more than 2.5 years after her initial implantation. Hayek et al19 reported on five patients with occipital nerve stimulation for chronic, frequent, and severe headaches. Case 1: A 46-year-old male presented with 10-year history of chronic daily headache. Headaches were daily and of varying intensity ranging from moderate to severe. He took sumatriptan about 15 days per month. After occipital nerve stimulation implantation, he felt immediate relief and was able to stop using medications. The patient reported good headache relief three months post-operatively. Case 2: A 25-year-old women presented with right-sided refractory cericogenic headaches and neck pain. The pain was interfering with patient’s activates of daily living. After occipital nerve stimulation implantation, the patient reported a remarkable decrease in the number of headache episodes and intensity of pain, an improvement of >80%. The patient reported good relief five months post-operatively. Case 3: A 28-year-old female presented with severe refractory occipital neuralgia that progressed to a severe migraine headache 1 to 2 hours later. The patient had disabling headaches more than 20 days per month. After occipital nerve stimulation implantation, she reported a 60-70% reduction in pain. At the 24-month follow-up, the patient was off all medications and only averaged 1-2 headaches per month that were treated by rest and increased amplitude of stimulation. Case 4: A 44-year old man developed severe daily refractory occipital headaches. The patient continued to work full time, but was considering disability, and rated his quality of life as “very poor” with the need to stay in bed 12 to 14 hours a day. After occipital nerve stimulation implantation, he reported a significant reduction in pain. At the 6-month follow-up his pain reduction was at 90% and he was able to continue work and function. Case 5: A 42-year old female presented with chronic refractory unilateral intractable migraines. After implantation, she reported having no headaches during the first two weeks. After two weeks, she reported experiencing 2-3 migraines per month for the following year. However, the breakthrough headaches were less severe than her usual ones and were easily manageable. She was able to continue working full time. Magown et al20 reported on 7 patients (5 women, 2 men; mean age 44 years) who received occipital nerve stimulation for intractable occipital neuralgia. The mean follow-up was 17.7 months. Pre-operatively, the VAS was 100 mm in three patients and 72, 76, 80, and 90 mm in the other four patients. Post-operatively, the VAS was 0 in 6 of the patients and 25 mm in 1 patient. The mean reduction of experienced pain according to the VAS was 96%. Six patients stopped pain medications, 1 stopped taking opiods and halved the amount of daily intake of gabapentin, and 1 patient maintained the same regimen. Recently, Deshpande and Wininger21 reported on a case study of a patient with a complicated migraine and occipital neuralgia. The headaches emanated from the occipital base with an incidence rate of 4-5 per week with a maximum duration of headache of 72 hours. The patient reported the headaches incapaciting and as a result their overall quality of life was negatively affected. At the 24-month follow-up, headache onset had been reduced by more than 50%, including cessation of neurologic deficits that accompanied the patient’s migraines. The outcomes greatly contributed to an overall improvement to the patient’s quality of life. Shin et al22 reported on a 71 year old female who presented with a 12-year history of occipital headache. The patient had received medications and various interventions, including supraorbital nerve block, C2 dorsal root ganglion block, occipital nerve block and stele ganglion block. The VAS score of her pain was 8/10 and the pain nature was stabbing and intermittent. The pain continued for 3-4 hours per episode. The pain site was mainly the right occipital area and was not associated with aura, dizziness and vertigo. Her medications included a tramadol hydrochloride 37.5mg/ acetaminophen 325mg complex tablet 0.5 T PO t.i.d., clonazepam 0.25 mg PO t.i.d., tianeptin 12.5 mg PO b.i.d. The patient was implanted with the stimulator and soon after expressed a relief in pain. After implantation her VAS score became 2/10 during her admission. At her one-month follow-up, her VAS score was at 1-2/10 and the pain control continued to work. The amount of her medication was also reduced. Hammer and Doleys23 reported on a 49-year-old female patient who suffered from intractable occipital neuralgia. It was reported that some of her treatments even exacerbated her pain. Her baseline pain rating was 9/10 and there were no periods of being pain free. She was unable to engage in customary day-to-day activities, including interactions with her grandchildren, and she was unable to work. After occipital nerve stimulation implantation, the patient reported immediate pain relief of greater than 70% during the trial period. At both 7 and 9 months post implantation, the patient reported 90% improvement of her pain with a numerical pain rating of 0-1/10. Also, her Beck Depression Inventory (BDI-II)(see Appendix-A) score decreased from 29 to 2. Her Oswestry Disability Scale (see Appendix-A) score was 46% pre-implant, indicating a moderate level of perceived disability secondary pain, and was 0% at follow-up. Her McGill Pain Questionnaire (see Appendix- A) weighted scores were as follows pre-implant: sensory=12, affective=0, evaluative=5, miscellaneous=4, with a present pain intensity (PPI) 4.5/5. The weighted scores post-implant were: sensory=4, affective=0, evaluative=0, miscellaneous=1 with PPI=1/5. The total number of words chosen pre-implant = nine, post implant follow-up = two. She no longer took pain medication for her migraines. After implant, the patient reported her mood was substantially better and she had returned to church activities. Her overall activity increased by 90% and she was able to play with her grandchildren and return to working up to seven hours a day. She reported a return in pain when the device malfunctioned (e.g. battery depletion). Her husband corroborated these improvements. Her spouse reported that since implantation they were able to do many things as a couple that they had not done since the onset of her pain problem. Skaribas et al24 reported on a 42-year-old women with chronic intractable headaches, occipital neuralgia and neurofibromatosis. The patient has had chronic intractable headaches and occipital neuralgia since age 18 years. Her occipital neuralgia persisted for more than 15 days monthly and was distributed throughout the greater occipital nerves, beginning in the occipital region and radiating upward to the top of the head. When occipital neuralgia occurred, her occipital area became very tender to palpation. After implantation the patient had a remarkable improvement and experienced sustained benefit. The patient’s pain level and quality of life were assessed at baseline and again at one, three, and six months after implantation. The questionnaires used in these assessments were the short form McGill Pain Questionnaire, the VAS, the Oswestry Disability Questionnaire, and the Short-Form Health Survey (SF-36) (see Appendix-A). After the trial implantation, the patient experienced nearly an 80% reduction in headache severity. The severity, frequency, and duration of her headaches have improved by more than 60% at 10 months after implantation. She was able to discontinue the use of morphine. All outcome measures of pain and quality of life were positively affected by the treatment. She reported improvement in her quality of life, which she characterized as “being more active and enjoying life,” being able to exercise, working for longer hours, and having improved mood. Simopoulos et al25 reported a case of improved pain control and function in a patient with chronic migraine after treatment with nerve stimulation. The patient was a 52- year-old women with history of chronic migraine headaches since childhood and who presented for treatment in 2005. At the 16 months follow-up, post implantation, her average pain intensity declined from 8-9/10 on the numeric rating scale to 5/10. Her function improved as assessed by the MIDAS questionnaire, from total disability (grade IV) to mild disability (grade II). She worked part-time as an instructional learning assistant because she could not endure her former job as a full-time schoolteacher. She wore earplugs daily because usual school noises (eg, whistles, fire alarm, and shouting) triggered severe migraines. The patient became totally disabled, and even withdrew from most social and leisure activities. Over the years, the patient had received numerous abortive mediations with declining success that included: acetaminophen with codeine, multiple triptans (almotriptan, frovatriptan, eletriptan), acetaminophen/butalbital/caffeine, multiple nonsteroidal anti-inflammatory drugs, atenolol, amitriptyline, prednisone, caffeine/ergotamine, and metaxalone. She had tried multiple prophylactic agents with declining benefit that included valproate, topiramate, verapamil, doxepin, gabapentin, amitriptyline, and atenolol. Finally, a trial of oxycodone (sustained and immediate release) was without success. Interventional procedures included bilateral C2 dorsal root ganglion steroid injection, cervical epidural steroid injections, trigger point injections, greater occipital nerve blocks, medial branch blocks of C5/6 and C6/7 facets and third occipital nerve cervical blocks, all of which failed to offer relief. Infusion therapies with IV lidocaine as well as auriculotemporal nerve blocks followed by botulinum toxin-A injections did not alleviate the patient’s condition, even transiently. By early 2008, the patient was completely incapacitated by her chronic migraines. Her functional status as evaluated by the MIDAS questionnaire was 225, indicating severe disability (Grade IV). Given the patient’s lack of response to numerous treatments, absence of analgesic abuse, and favorable psychological profile, the patient became a candidate for peripheral nerve stimulation. At her 16-month follow-up the MIDAS questionnaire scores ranged from 6-10 (Grade II) with an average pain intensity of 5/10 on the numeric rating scale. The patient was able to attend musical concerts, an activity she had avoided for years. The patient derived marked improvement in photophobia that affects up to 73% of patients with chronic migraines. Also, the patient derived sustained improvement in function as evaluated by the MIDAS questionnaire. Popeney and Alo26 prospectively studied 25 patients with refractory episodic and refractory transformed migraines. Migraines were present for a median of 10 years (1-30 years). On average, the patients had failed 7 medications, including prophylactics and abortives. The average length of follow-up was 18.3 months (9-36 months). Pre- and post- implant measurements of MIDAS questionnaire scores were collected. Prior to implantation, all patients experienced severe disability (grade IV on the MIDAS) with 75.6 headache days (average severity, 9.32; average MIDAS score, 121) over an average 3-month period. Average 3-month headache frequency was reduced from 75.6 days pre- to 37.5 days post-occipital nerve stimulation implantation. Average severity decreased from 9.32 (scale of 0-10) to 5.72. Eighty-eight percent of the patients reported reduction of their disability and improvement of >50% in the frequency and severity of headache. Average MIDAS questionnaire score dropped from 121 (grade IV= severe disability) to 15 (grade I= disability). With an average follow-up of 18 months, 100% of the patients had relief of >50% and 80% of patients had relief >70%. All patients reported that their migraines were well controlled with occipital nerve stimulation and the average improvement in MIDAS questionnaire scores was 88.7%. Sixty percent used their stimulator intermittently, and 40% reported continuous use according to patient preference and efficacy. Interestingly, some of the patients reported a recurrence of migraines almost immediately when the device malfunctioned (e.g. battery depletion). Nineteen patients (95%) reported improvement in quality of life with stimulation and would undergo the procedure again. b. Falco et al27 conducted a prospective study on 18 patients (age 39-82 years, mean age of 56 years). The patients were selected based on non-appendicular and regional pain. Areas of pain treated consisted of intractable headache and pain involving the neck. The duration of the pain ranged from 2 months to 35 years (mean 8.4 years) prior to implantation. All 18 implanted patients experienced a statistically significant reduction in their Numerical Rating Scale (NRS) (see Appendix-A) pain scores. Before implantation, their NRS pain scores ranged between 10 to 7, with an average intensity level of 9.1. After implantation the NRS pain level varied between 0 to 3 with an average intensity level of 1.2. Also, all patients were able to reduce the use of their pain medication with 7 (39%) patients stopping all their pain medications. Prior to the implantation, 14 patients had used a transcutaneous electrical nerve stimulator (TENS) and none had received any significant pain relief. However, all 14 patients who failed to benefit from the TENS therapy did respond to stimulation and experienced significant pain relief. All 18 patients reported statements reflecting functional improvement significant to the patient. Matharu28 conducted a semi-blinded randomized prospective controlled study on 8 (age 32-53 years, mean 44 years; seven female, one male) patients with a history of intractable chronic migraines. After the patients received their occipital nerve stimulators they were randomly subjected to 3 states (no stimulation; effective stimulation; and, partial but ineffective stimulation) 4 times for a total of 12 sessions per patient, or a total of 96 sessions for the group. All 8 patients reported that upon stimulation, the migraines began to improve instantaneously and were completely suppressed within 30 minutes. On switching off the stimulation, the migraines recurred instantly and peaked within 20 minutes. Further increase in stimulation consistently provided onset of a 7-point drop in VAS pain scale of 0 to 10. At a median follow-up of 1.5 years, all 8 patients reported a marked beneficial response, pain reduction ranging from 75% to 100%, and long-term relief. Occipital nerve stimulation had been highly effective, consistently rendering the patients pain-free within minutes after turning the device on. The 8 patients were able to stop all analgesics, headache, and preventative medications after implantation. Kapural et al29 reported a prospective study of 6 patients with severe intractable occipital neuralgia. The average age of the patients was 51.8 years old. They all reported having occipital migraines for 4.9 years. Post-implantation of the occipital nerve stimulation, there were significant improvements not only in the VAS but also in Pain Disability Scores (see Appendix-A). At the 3-month follow-up, there was a significant decrease in VAS scores with the mean VAS score change from 8.66 + 1.0 to 2.5 +1.3. Additionally, at the 3-month follow-up the Pain Disability Scale improved significantly from 49.8 +15.9 to 14.0+7.4, suggesting a drastic improvement in functional capacity in the 6 patients. Trentman et al30 reported on a prospective study on 8 patients with medically refractory primary headache disorders. Inclusion criteria included 12 or more months of chronic migraine or chronic cluster headache, refractory to at least 4 preventative medications used at adequate dosage for adequate duration of time, willingness to maintain current pain medication regimen during the study, and willingness and ability to maintain a headache diary for the duration of the study. At one year, outcome measures were collected including the MIDAS questionnaire. At one year, 7 of the 8 patients were judged as having obtained fair or better results in terms of reduction of disability; 5 patients had greater than 90% reduction in disability. All patients with excellent outcomes experienced a >50% reduction of headache days and/or 30-50%reduction in average headache severity, while patients with a fair response experienced a reduction in headache days or severity of 25-50%. Slavin et al31 collected data in 22 patients who received occipital nerve stimulation for craniofacial pain. Stimulated nerve areas included supraorbital, infraorbital, and occipital. At follow-up (mean 35 months), 2 (10%) patients had the device removed because of complete pain improvement, 17 (77%) patients experienced either complete or partial pain relief (>50), and 3 (13%) had the device removed due to loss of effectiveness or infection. Magis et al32 performed a prospective pilot study of occipital nerve stimulation in 8 (7 men and 1 women, mean age 45 years) patients with drug-resistant chronic cluster headaches to assess clinical efficacy and pain perception. Analyzed were the change in monthly attack frequency before and after occipital nerve stimulation. In all implanted patients, the disease started as episodic cluster headaches before developing into the chronic form. Mean duration was 13.6 years and mean duration of the chronic phase was 5.1 years. Mean duration of follow-up was 15.1 months (3-22 months). Weekly frequency of cluster headache attacks before occipital nerve stimulation was on average 13.4; after occipital nerve stimulation it was 2.8, a reduction of 79.9%. If patient 8, who only had the implanted device for 3 months, is omitted from the analysis, the reduction in attack frequency after occipital nerve stimulation is 93.2%. Attack intensity was reduced from 2.62 to 1.47 post-implantation (scale from 1[mildest] to 4 [worst pain]). At mean follow-up of 15-months, it was reported that 2 patients were pain free, 3 patients had 90% reduction in headaches, and 2 patients had 40% improvement. All patients were able to substantially reduce their preventative drug treatments. Also, interruption of occipital nerve stimulation by either switching off the stimulator or because of an empty battery was followed by a recurrence and increase of attacks in all improved patients. Melvin et al33 prospectively studied the effects of occipital nerve stimulation on 11 patients with refractory mediated occipital headache. The prospective, 12-week pilot study evaluated before and after implantation of occipital nerve stimulation. The study found not just improvement in pain, but 91% of implanted patients reported medication reduction and substantial improvements in function such as work and recreational activates. At 12-weeks after implant, scores on the McGill Pain Questionnaire were reduced and represented decreases in pain severity and disability. Of the patients studied, 73% reported good to excellent results and 27% reported fair results. Most of the patients who completed the study were female and had been experiencing headache pain for a number of years. Occipital nerve stimulation effectively reduced the headache pain and syndromes of the patients. The patients reported that they used less medication, had fewer headaches, and that their headaches had less of an impact on their activities. Thimineur and De Ridder34 conducted a prospective study on 12 (9 female and 3 males; mean age 48 years, range 22-61 years) patients with Fibromyalgia (FM) who suffered from co-morbid chronic daily headaches. Outcome was prospectively studied with standard evaluation tools at baseline, 3 and 6 months post implant. Evaluation tools included the VAS; the Fatigue Impact Scale, the BDI, and, the SF-36 Health Survey (see Appendix-A). At the 3 and 6-month follow-up, results showed significant improvement for all obtained data. Visual Analog Scores for headache improved significantly after 3 months, t(11)=10.754, and 6 months, t(11)=11.898 (t = the paired t- test used in the pre- and post- intervention comparative analyses (α = 0.05)). Bodily pain scores on SF-36 were significantly improved 3 months post implant, t(11)=3.901, and 6 months post implant, t(11)=3.941. Their scores clearly indicate an improvement in the patient’s head and diffuse pain. The Fatigue Impact Scale scores improved significantly 3 months, t(11)=6.185, and 6 months, t(11)=6.525, post-interventions compared with pre-intervention. BDI scores improved significantly 3 months, t(11)=5.131, and 6 months, t(11)=5.757, as compared with baseline scores. All scales on the SF-36 showed a significant improvement at 3 months. Headache and diffuse pain improvement were essentially equal, indicating a general effect on pain rather than regional pain relief of headache only. Furthermore, the results obtained on FM-related pain and symptoms were not expected, as the study was primarily performed to evaluate headache improvement. Improvements in the patients were not related only on pain, but also the motivational-affective components such as fatigue, depression, and quality of life measures. Burns et al35 conducted a prospective cross over study that evaluated the safety and efficacy of a occipital nerve stimulation device in the treatment of refractory hemicrania continua patients. Six patients aged 18 or older who had hemicrania continua were treated with an occipital nerve stimulation device. After implantation, the device was turned on for the first 3 months, off for the 4th month, and on again during the long-term follow-up. The patients maintained diaries 1 month before implantation and for 5 months after implantation. At a median follow-up of 13.5 months (6-21 months), 5 of the 6 patients reported sufficient benefit to recommend the device to other patients with hemicrania continua. Substantial improvement (80-95%) was reported by 4 of the 6 patients, 1 reported a 30% improvement, and 1 patient reported no pain relief. The onset of the benefits was delayed by days or weeks, and headaches did not recur for a similar period when the device was switched off. k. Magis et al36 reported 10 (9 males and 1 female) drug-resistant chronic cluster headache patients ( mean age 44.2) who underwent occipital nerve stimulation. Inclusion criteria were chronic cluster headaches for at least 2 years, daily attacks by history, and resistance to drug treatment according to expert consensus guidelines. Between 0 to 30 months, all the patients were scanned with ongoing occipital nerve stimulation and with the stimulator switched off. After 6 to 30 months of occipital nerve stimulation, 4 patients were pain free and 3 had a > 90% reduction of attack frequency; and 3 had a 25% improvement in attacks. Switching off the stimulator lead to recurrence and increase of attack frequency in all of the patients. The three major equipment manufacturers (Medtronic, St. Jude, and Boston Scientific) have sponsored research trials to investigate the safety and efficacy of their neurostimulation products for the treatment of migraine headaches. i. Medtronic37 conducted a prospective, multicenter, randomized, blinded, controlled feasibility study called Occipital Nerve Stimulation for the Treatment of Intractable Migraine (ONSTIM) trial to obtain preliminary safety and efficacy data on occipital nerve stimulation in chronic migraines. Eligibly subjects received an occipital nerve block, and responders were randomized to adjustable stimulation (AS), present stimulation (PS), or medical management (MM) groups. A total of 66 patients participated in the study, 28 in AS, 16 in PS, 17 in MM, and 5 in the Ancillary group. The patients experienced migraine for an average of 22.0 years prior to the study (range 1-51 years) and experienced chronic migraines headaches for an average of 10 years prior to study enrolment (range <1 to 30 years). The gender ratio of males to females was approximately 1:4. Treatment groups were similar in demographic and baseline headache characteristics. A responder was defined as a subject who achieved a 50% or greater reduction in number of headache days per month or a 3-point or greater reduction in average overall pain intensity compared with baseline. Of the 66 patients who completed the ONSTIM study, the responder rate was significantly higher in the group with adjustable stimulation than in patients with preset stimulation or medical management. At the 3-month follow-up, 39% of patients had at least 50% reduction in monthly headache days or at least 3-point reduction in pain intensity in the AS group, compared to 6% in the PS group (with only 1 minute of stimulation per day), and 0% in the MM group. Boston Scientific38 conducted a prospective, randomized, double blind, placebo controlled trial of occipital nerve stimulation for drug refractory migraine called the Precision Implantable Stimulator for Migraine (PRISM) trial. All 125 patients who completed the study had failed with at least 2 acute and 2 preventative medications, and all had 6 days or more per month of migraine headaches lasting 4 or more hours with moderate to severe pain. During the 12-week blinded period, patients were randomized in a 1:1 ratio to receive active stimulation or sham stimulation. The study showed greater efficacy in the treatment group than in the control group. St. Jude: St. Jude Medical39 sponsored an Investigation Device Exemption pivotal trial to evaluate occipital nerve stimulation for chronic migraine. A total of 157 patients who, on average, suffered from headache 26 days per month, were randomized from 15 centers. Patients were randomized in a 2:1 ratio to either a stimulation trial followed by device implantation and active stimulation for 12 weeks, or a stimulation trial followed by device implantation but sham stimulation for 12 weeks. After the 12 weeks, subjects were followed for 1 year. Study results on the safety and efficacy of occipital nerve stimulation for the management of pain and disability, associated with chronic migraine, showed statistically significant improvement across multiple measures including a reduction in the number of headache days per month and improvement in quality of life. This is the largest clinical study to date evaluating the use of occipital nerve stimulation for the treatment of chronic migraine. Success was defined as a 50% reduction in pain and no increase in headache frequency or duration. St. Jude medical research reported a 28 percent decrease in headache frequency (seven less days per month) after 12 weeks compared with only 4 percent drop among patients tested with the placebo group (one less day per month). Overall disability as measured by the MIDAS questionnaire indicated participants in the active group had a 41% improvement compared to a 13% improvement in the placebo group. Zung Pain and Disability Index (PAD) (see Appendix-A) scores improved in the active group by 20% compared to an 8% improvement in the placebo group. In addition to the standardized scales (MIDAS and PAD), patients were asked to subjectively assess their pain relief. The active group reported 42 percent pain relief compared to 17% in the placebo group. Patients in the study were asked to define their headache relief as excellent, good, fair, uncertain, or poor. At the 12-week end-point, 53% of patients in the active group ranked their relief as excellent or good compared to 17% in the placebo group. When asked to rate the effect on their quality of life, 67% of the active group reported improvement compared to 17% in the placebo group. The active group reported 51% satisfaction with headache relief compared to 19% in the placebo group. In a prospective, nonrandomized study, called the Northwestern Experience38, 50 patients diagnosed with chronic headaches or chronic migraines were reported on. At two-year follow-up, 83% of patients reported a good to excellent relief with an additional 9% reporting satisfactory pain relief of 30% or more. These patients all expressed their unwillingness to have their device removed. Slavin et al40 retrospectively studied 10 (mean age 43.3 years) patients with medically intractable occipital neuralgia treated with occipital nerve stimulation. At mean follow-up of 22 months (5-32 months), 70% reported good pain control, between 60% to 90% pain relief. All reported a decrease in use analgesics and continued employment. In a retrospective study published by Weiner,3 long-term follow-up of 150 patients who received occipital nerve stimulation for varies intractable headache disorders consistently reflected a 70-75% success rate with greater than 50% pain reduction and diminished use of medications, particularly narcotics. Schwedt et al41 conducted a retrospective analysis on 15 (12 female, 3 male) patients with medically intractable headaches who underwent implantation of an occipital nerve stimulation. Ages ranged from 21 to 52 years (mean 39 years). Headache types included chronic migraine, chronic cluster headache, hemicrania continua, and post-traumatic headache. Pre- and post-implantation data regarding headache frequency, severity, disability, depression and post-stimulator complications were collected. Patients were measured 5-42 months (mean 19 months) after implantation. The data improved significantly in all six mean headache measures from baseline. Headache frequency per 90 days improved by 25 days from a baseline of 89 days; headache severity (on a scale of 0-10) improved 2.4 points from a baseline of 7.1 points; MIDAS questionnaire disability improved 70 points from a baseline of 179 points; HIT-6 scores improved 11 points from a baseline of 71 points; BDI improved eight points from a baseline of 20 points; and the mean subjective percent change in pain was 52%. The intervention was found to be both efficacious and safe. In a retrospective study published by Burns et al,42 14 patients received occipital nerve stimulation for medically intractable chronic cluster headaches. Improvements occurred in frequency and severity. At a median follow-up of 17.5 months (4 to 35 months), 10 (71%) patients reported improvement. Three (30%) patients reported a marked improvement (95%, 90%, and 90%); 3 (30%) patients reported a moderate improvement (60%, 50%, and 40%); and, 4 (40%) patients reported a mild improvement (30%, 25%, 20% and 20%). Interestingly, occipital nerve stimulation helped a patient in aborting acute attacks. The patients reported that attacks returned almost immediately, within hours or days, when the device malfunctioned (e.g., battery depletion). However, once the device was turned back on, or after fixing the fault, all patients improved immediately. The patients improved without the addition of new therapy. Also, 1 patient stopped the use of triptan; 5 reduced use; 6 did not alter use; and, 2 were not using triptans. Eleven of the 14 (79%) patients reported that they would recommend the treatment to similarly affected patients. Paemeleire et al43 conducted a retrospective study of 44 patients who received occipital nerve stimulation for medically refractory headache. Of the 44 patients that were invited to participate in the study, 26 consented and were phenotyped. At long-term follow-up, a significant decrease in all pain parameters was noted, as well as a decrease in analgesic use. Quality of sleep and quality of life improved. Patient satisfaction was generally high. The mean percentage, long-term pain relief was 63%, and 80% (21 of 26) of the patients had at least 50% long-term pain relief. Mrs. Patient can be considered her own case-controlled retrospective study due to her experience with the device. Mrs. Patient has had an extensive history of intractable chronic migraines and occipital neuralgia. Once she was implanted with the occipital nerve stimulation device she no longer suffered from chronic migraines or occipital neuralgia. However, when the device malfunctioned four years after implantation her migraines and occipital neuralgia quickly returned. Mrs. Patient has herself proven the safety and efficacy of the stimulator for intractable chronic migraines and occipital neuralgia. The clinical evidence published in peer-reviewed medical literature, and Mrs. Patient’s medical history, demonstrate the significance of occipital nerve stimulation in the management of intractable headache disorders. The data supports occipital nerve stimulation to be a both safe and effective treatment for pain for a variety of headache disorders, especially, for those who suffer from intractable chronic migraines and occipital neuralgia, such as Mrs. Patient. Furthermore, these studies support the off-label use of the occipital nerve stimulator for the treatment of intractable chronic headaches. Thus, given the consistently positive results found in the qualifying medical literature, and Mrs. Patient medical history, implantation of an occipital nerve stimulator for intractable chronic migraines and occipital neuralgia should be covered for Mrs. Patient. “…does NOT, however, limit the manner in which a physician may use an approved drug. Once a product has been approved for marketing, a physician may prescribe it for uses or in the treatment regimes or patient populations that are no included in approved labeling. Such ‘unapproved’ or, more precisely, ‘unlabeled’ uses may be appropriate and rational in certain circumstances, and may, in fact, reflect approaches to drug therapy that have been extensively reported in medical literature. Based upon the FDA44 Drug Bulletin, the FDA concerns itself with the marketing of drugs and devices NOT with medical decisions; 2) the FDA concerns itself with the appropriateness of marketing for drugs and devices NOT their efficacy; and, 3) the FDA does NOT in anyway limit the practice of medicine. If the FDA itself states that its labeling is not intended to limit the prescribing of medications for off-label uses, then insurers should not be permitted to refuse coverage of off-label uses solely based on the fact that the use is off-label. Clearly, such a result would run contrary to the FDA’s own intent regarding the effect of its labeling. Neurostimulation Device Is Approved By FDA For Chronic and Intractable Pain. The FDA Code of Federal Regulation, number 21 CFR 882.5880,47 approves the use of implantable neurostimulator device for the use as an aid in the management of chronic, intractable pain. The implantable neurostimulator device transmits electrically stimulating pulses to relieve severe intractable pain. Prescribing and Reimbursement for FDA-Approved Drugs and Devices for Unlabeled Uses (1) Our AMA reaffirms the following policies: (a) A physician may lawfully use an FDA-approved drug product or medical device for an unlabeled indication when such use is based upon sound scientific evidence and sound medical opinion (Policy H-120.988); (b) When the prescription of a drug or use of a device represents safe and effective therapy, third party payers, including Medicare, should consider the intervention as reasonable and necessary medical care, irrespective of labeling, and should fulfill their obligation to their beneficiaries by covering such therapy (Policy H-120.988); and (c) Our AMA encourages the use of peer-reviewed literature for determining the medical acceptability of unlabeled uses (Policy H-165.896, #15). In fact, physicians could be subject to a claim of malpractice for failing to provide treatment simply because it is an off-label drug or device. Physicians can be held liable if they deny a patient the best treatment for their condition simply because the use was not included in the FDA labeling of the drug. Many current on-label uses of current drugs and devices were first introduced through the off-label application of FDA approved drugs. Many medical professionals rely on off-label medications for pain relief to treat rare and serious medical conditions. The prescription and use of off-label medications and devices in medicine is highly prevalent and has contributed extensively to the quality, progress, and practice of medical care.49 In fact, it is an essential component in order to provide optimal patient care. It is estimated that a great portion of drug use, 20-60 percent of all prescriptions, are for off-label uses.4950 The following are examples to support this claim. Recalcitrant Insurance should not prohibit the coverage of the neurostimulator simply because of the off-label usage to treat migraine pain, particularly when the denial of coverage is causing more harm than the potential risks associated with using a device off-label. Based on the accepted off-label practices in medicine of the neurostimulator for intractable chronic migraines and the published peer-reviewed journal articles, it hardly seems reasonable that this claim was denied , especially, when the device has proven to be safe and effective in Mrs. Patient’s case. Mrs. Patient is currently suffering from the debilitating effects of chronic migraine and occipital neuralgia. Mrs. Patient is a 37-year-old women with a 18-year history of chronic headaches and occipital neuralgia. Before her migraines, Mrs. Patient was a vibrant, athletic and determined young lady with aspirations of pursuing her master’s degree in order to become a pediatric nurse practitioner. In her late teens and early 20’s, Mrs. Patient started experiencing migraines. At that time the pain was manageable with over-the-counter medications. In her 20’s she became a wife and a mother and worked as a registered nurse. However, over the next few years, her migraines intensified and gradually became more severe, chronic, and ultimately debilitating. Due to the migraines, Mrs. Patient was no longer able to work and no longer able to take care of her family. The debilitating disease caused Mrs. Patient and her family extreme emotional, physical, and financial hardship. – Prescription drugs including: Imitrex, Maxalt, Methadone, DHE 45 (daily injections), Nubain (daily injections), Tordal (daily injections), Vistaril (daily injections), Migranil (nasal spray), Oxycontin, Lortab, Botox, Amerge, Zomig, Frova, Relpax, Phenergan, Reglan, Inderal, Verapamil, Depacon, Topamax, Neurontin, Lamictal, Cyproheptadine, Fiorcet, Hydrocodone, Soma, Flexeril, Skelaxin, Vitamin B-12 (injections), Percocet, Ultram, Celexa, Cymbalta, Lexapro, Remeron, Paxil, Zoloft, Trazodone, Effexor, Ambien, Lunesta, Restoril, Tramadol. Unfortunately, none of the treatments and prescriptions provided her with relief or management of pain. In many cases, the treatments and prescriptions exacerbated her condition. Mrs. Patient’s condition became so debilitating that she spent 20 hours per day bedridden by migraines and the prescription drugs used to treat them. Mrs. Patient was not able to take care of herself or her family. She depended on her two young daughters and her husband to help her with basic personal care. The only treatment that has relieved Mrs. Patient’s symptoms is a neurostimulator device. In May 2007, Mrs. Patient received surgery to implant an occipital nerve stimulator. As demonstrated by Mrs. Patient’s medical history, occipital nerve stimulator device managed her chronic and intractable pain and had truly been life saving. The stimulator has proven medically necessary to treat the incapacitating symptoms that Mrs. Patient has struggled with for so long. Immediately after implantation, Mrs. Patient experienced complete pain relief from her crippling migraines for the first time in over a decade. Mrs. Patient no longer needed prescription drugs nor “painkillers” to treat her headaches. She returned to working full-time as a nurse and began graduate school to purse her master’s degree to become a pediatric nurse practitioner, maintaining a straight-A average. The stimulator gave Mrs. Patient her life back, and her family their wife and mother. Mrs. Patient was able to live and function normally again. Unfortunately, in April 2011, after almost four years of being pain free, the stimulator device started to malfunction and ceased to provide relief. 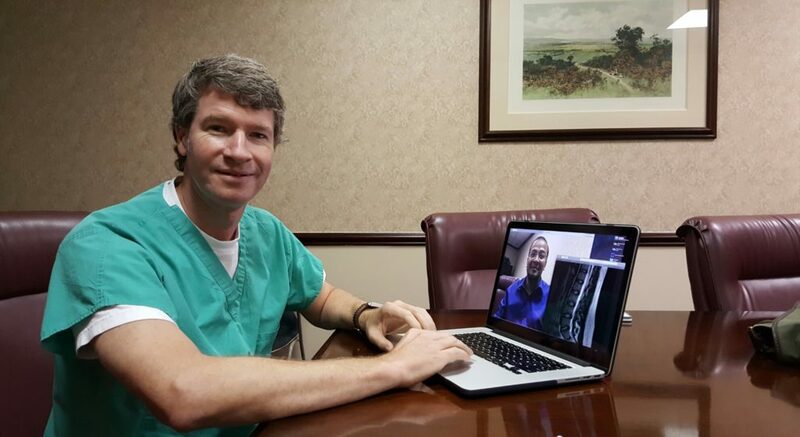 Dr. W. Porter McRoberts in Ft. Lauderdale, FL, who specializes in occipital nerve stimulation, examined Mrs. Patient and confirmed that the device has indeed malfunctioned and surgery would be required to repair the device. Nevertheless, Recalcitrant Insurance Insurance has denied the claim for the surgery. Since the malfunction of the device, the chronic and intractable migrainous pain has returned. Once again, due to the debilitating pain from the migraines, Mrs. Patient has had to stop work, school, and again has to rely on her daughters and husband to provide her with the basic of care. Also, Mrs. Patient has had to go on Family Medical Leave Act (FMLA). Once again, neither drugs or other treatments are providing her with relief from pain. The device is the only treatment that has provided Mrs. Patient with meaningful relief. Unfortunately, the device has malfunctioned and requires surgical repair. When patients are denied medical care due to denial of insurance coverage because of off-label use, they may suffer a recurrence of their debilitating pain and nausea, experience acceleration of their illnesses, and risk serious bodily harm. Many require more drastic medical care, including emergency visits and hospilization, costing the insurance company significantly more than it would cost to cover a neurostimulator device. The Recalcitrant Insurance denial letter (Letter ID: ADV002_R01) stated that services are not eligible for coverage because it does not cover unproven procedures. However, based on the numerous prevailing published medical research, the FDA guidelines and approval of neurostimulation, the American Medical Association guidelines, the accepted and prevalent off-label practices in the medical community, and Mrs. Patient’s medical history, occipital nerve stimulation is accepted and a proven procedure for the management of intractable chronic headache pain. Thus, based on the review of the Recalcitrant Insurance policy and the Recalcitrant Insurance definition of unproven, Recalcitrant Insurance’s non-coverage decision should be reversed since it is not valid to this case. Denying this claim goes against the purpose of Recalcitrant Insurance, which is to ensure that enrollees have access to medically necessary medications. Denying Mrs. Patient goes against Recalcitrant Insurance’s Mission of “Helping People Live Healthier Lives” and your purported values of Integrity, Compassion, Relationships, Innovation, and Performance.” Furthermore, prohibition of off-label use of occipital nerve stimulation is unreasonable and inconsistent with the objectives of Recalcitrant Insurance in light of the fact that the medical community agrees that it is the only available treatment for patients with intractable chronic migraines and occipital neuralgia, such as Mrs. Patient. It is Recalcitrant Insurance’s responsibility and obligation to ensure the safety of enrollees by providing coverage of medically necessary treatments deemed by the prescribing doctor to be essential for the person’s health and well being, even when the treatment is an off-label. Furthermore, to deny Mrs. Patient’s request to cover the neurostimulator revision could be construed as cruel and inhumane treatment. Withholding medical care is intentionally inflicting severe pain and suffering, which is unethical and criminal. Please give careful consideration to the information presented above, as it precisely delineates the efficacy, safety, and cost-effectiveness of the neurostimulator. In light of the voluminous clinical research overwhelmingly in favor of this treatment currently published in peer-reviewed medical journals, and given your moral and legal obligation to not unduly delay or obstruct physician ordered, medically necessary treatment, I trust you will reverse the denial of Mrs. Patient’s claim (claim # inserted here) so she may receive the care she desperately needs. 1. Menken M, Munsat TL, Toole JF. The global burden of disease study: implications for neurology. Archives of Neurology. 2000;57(3):418-420. 2. Lipton RB, Stewart WF, Diamond S, Diamond ML, Reed M. Prevalence and burden of migraine in the United States: data from the American Migraine Study II. Headache. 2001;41(7):646-657. 3. Weiner RL. Occipital Neurostimulation (ONS) for treatment of intractable headache disorders.Pain Medicine. 2006;7:S137-S139. 4. Hu XH, Markson LE, Lipton RB, Stewart WF, Berger ML. Burden of migraine in the United States: disability and economic costs. Archives of Internal Medicine. 1999;159(8):813-818. 5. Silberstein SD, Lipton RB. Chronic daily headache, including transformed migraine, chronic tension-type headache, and medication overuse. Oxford University Press; 2001. 6. Rodrigo-Royo MD, Azcona JM, Quero J, et al. Peripheral neurostimulation in the management of cervicogenic headache: four case reports. Neuromodulation: Technology at the Neural Interface. 2005;8(4):241–248. 7. Anonymous. WHO | The global burden of disease: 2004 update. Available at: http://www.who.int/healthinfo/global_burden_disease/2004_report_update/en/index.html. Accessed June 29, 2011. 8. Anonymous. The International Classification of Headache Disorders: 2nd edition.Cephalalgia. 2004;24 Suppl 1:9-160. 9. Anonymous. The International Classification of Headache Disorders. Cephalalgia: An International Journal of Headache. 2011. Available at: http://ihs-classification.org. Accessed July 18, 2011. 10. Rogers LL, Swidan S. Stimulation of the occipital nerve for the treatment of migraine: current state and future prospects. Acta Neurochirurgica Supplement. 2007;97(Pt 1):121-128. 11. Schwedt TJ, Dodick DW, Trentman TL, Zimmerman RS. Occipital nerve stimulation for chronic cluster headache and hemicrania continua: pain relief and persistence of autonomic features. Cephalalgia. 2006;26(8):1025. 12. Burns B, Watkins L, Goadsby PJ. Treatment of medically intractable cluster headache by occipital nerve stimulation: long-term follow-up of eight patients. The Lancet. 2007;369(9567):1099-1106. 13. Ghaemi K, Capelle H-H, Kinfe TM, Krauss JK. Occipital Nerve Stimulation for refractory occipital pain after Occipitocervical Fusion: expanding indications. Stereotactic Functional Neurosurgery. 2008;86(6):391-393. 14. Weiner RL, Reed KL. Peripheral Neurostimulation for control of intractable Occipital Neuralgia. Neuromodulation: Technology at the Neural Interface. 1999;2(3):217-221. 15. Reed KL, Black SB, Banta II CJ, Will KR. Combined occipital and supraorbital neurostimulation for the treatment of chronic migraine headaches: initial experience.Cephalalgia. 2010;30(3):260-71. 16. Oh MY, Ortega J, Bellotte JB, Whiting DM, Aló K. Peripheral Nerve Stimulation for the treatment of occipital neuralgia and transformed migraine using a C1-2-3 subcutaneous paddle style electrode: a technical report. Neuromodulation: Technology at the Neural Interface. 2004;7(2):103–112. 17. Johnstone CSH, Sundaraj R. Occipital nerve stimulation for the treatment of occipital neuralgia—eight case studies. Neuromodulation: Technology at the Neural Interface. 2006;9(1):41–47. 18. Trentman TL, Dodick DW, Zimmerman RS, Birch BD. Percutaneous occipital stimulator lead tip erosion: report of 2 cases. Pain Physician. 2008;11(2):253-256. 19. Hayek SM, Jasper JF, Deer TR, Narouze S. Occipital neurostimulation-induced muscle spasms: implications for lead placement. Pain physician. 2009;12:867–876. 20. Magown P, Garcia R, Beauprie I, Mendez IM. Occipital nerve stimulation for intractable occipital neuralgia: an open surgical technique. Clinical Neurosurgery. 2009;56:119-124. 21. Deshpande KK, Wininger KL. Feasibility of combined Epicranial Temporal and Occipital Neurostimulation: treatment of a challenging case of headache. Pain Physician. 2011;14:37–44. 22. Shin JH, Kim YC, Jang IK, et al. Occipital nerve stimulation in a patient with an intractable chronic headache-a case report. Korean Journal of Anesthesiology. 2011;60(4):298–301. 23. Hammer M, Doleys DM. Perineuromal stimulation in the treatment of occipital neuralgia: a case study. Neuromodulation: Technology at the Neural Interface. 2001;4(2):47-51. 24. Skaribas I, Calvillo O, Delikanaki-Skaribas E. Occipital peripheral nerve stimulation in the management of chronic intractable occipital neuralgia in a patient with neurofibromatosis type 1: a case report. Journal of medical case reports. 2011;5:174. 25. Simopoulos T, Bajwa Z, Lantz G, Lee S, Burstein R. Implanted auriculotemporal nerve stimulator for the treatment of refractory chronic migraine. Headache: The Journal of Head and Face Pain. 2010;50(6):1064–1069. 26. Popeney CA, Aló KM. Peripheral neurostimulation for the treatment of chronic, disabling transformed migraine. Headache: The Journal of Head and Face Pain. 2003;43(4):369–375. 27. Falco FJE, Berger J, Vrable A, Onyewu O, Zhu J. Cross talk: a new method for peripheral nerve stimulation. An observational report with cadaveric verification. Pain Physician. 2009;12(6):965-983. 28. Matharu MS, Bartsch T, Ward N, et al. Central neuromodulation in chronic migraine patients with suboccipital stimulators: a PET study. Brain. 2004;127(1):220. 29. Kapural L, Mekhail N, Hayek SM, Stanton-Hicks M, Malak O. Occipital nerve electrical stimulation via the midline approach and subcutaneous surgical leads for treatment of severe occipital neuralgia: a pilot study. Anesthesia & Analgesia. 2005;101(1):171. 30. Trentman TL, Zimmerman RS, Seth N, Hentz JG, Dodick DW. Stimulation ranges, usage ranges, and paresthesia mapping during occipital nerve stimulation. Neuromodulation: Technology at the Neural Interface. 2008;11(1):56–61. 31. Slavin KV, Colpan ME, Munawar N, Wess C, Nersesyan H. Trigeminal and occipital peripheral nerve stimulation for craniofacial pain: a single-institution experience and review of the literature. Neurosurgical Focus. 2006;21(6):E5. 32. Magis D, Allena M, Bolla M, et al. Occipital nerve stimulation for drug-resistant chronic cluster headache: a prospective pilot study. The Lancet Neurology. 2007;6(4):314-321. 33. Melvin E, Jordan F, Weiner RL. Using peripheral stimulation to reduce the pain of C2-mediated occipital headaches: a preliminary report. Pain Physician. 2007;10:453–460. 34. Thimineur M, De Ridder D. C2 area neurostimulation: a surgical treatment for fibromyalgia.Pain Medicine. 2007;8(8):639-646. 35. Burns B, Watkins L, Goadsby PJ. Treatment of hemicrania continua by occipital nerve stimulation with a bion device: long-term follow-up of a crossover study. Lancet Neurol. 2008;7(11):1001-1012. 36. Magis D, Bruno M-A, Fumal A, et al. Central modulation in cluster headache patients treated with occipital nerve stimulation: an FDG-PET study. BMC Neurology. 2011;11:25. 37. Saper JR, Dodick DW, Silberstein SD, et al. Occipital nerve stimulation for the treatment of intractable chronic migraine headache: ONSTIM feasibility study. Cephalalgia. 2011;31(3):271 -285. 38. Ellens DJ, Levy RM. Peripheral neuromodulation for migraine headache. Progress in Neurological Surgery. 2011;24:109-17. 39. St. Jude Medical, Inc. St. Jude Medical reveals randomized clinical trial data demonstrating benefit of neuromodulation for chronic migraine. 2011. Available at: http://investors.sjm.com/phoenix.zhtml?c=73836&p=irol-newsArticle&ID=1577765. 40. Slavin KV, Nersesyan H, Wess C. Peripheral neurostimulation for treatment of intractable occipital neuralgia. Neurosurgery. 2006;58(1):112. 41. Schwedt TJ, Dodick DW, Hentz J, Trentman TL, Zimmerman RS. Occipital nerve stimulation for chronic headache—long-term safety and efficacy. Cephalalgia. 2007;27(2):153. 42. Burns B, Watkins L, Goadsby PJ. Treatment of intractable chronic cluster headache by occipital nerve stimulation in 14 patients. Neurology. 2009;72(4):341. 43. Paemeleire K, Van Buyten JP, Van Buynder M, et al. Phenotype of patients responsive to occipital nerve stimulation for refractory head pain. Cephalalgia. 2010;30(6):662. 44. FDA. FDA Drug Bulletin “Use of Approved Drugs for Unlabeled Indications.” 1982;12(1):4-5. 45. Weaver v. Reagan. Available at: http://scholar.google.com/scholar?q=court+case+886+F.2d+at+198+courts+concluded+that+medicaid+could+not+limit+the+use+of+a+drug+to+FDA+approved+indications&oe=utf-8&rls=org.mozilla:en-US:official&client=firefox-a&safe=active&um=1&ie=UTF-8&sa=N&hl=en&tab=ws. Accessed August 3, 2011. 46. U.S. Senate. Testimony on unapproved uses of prescription drugs by William B. Schultz. 1996. Available at: http://www.hhs.gov/asl/testify/t960222a.html. 47. Anonymous. CFR – Code of Federal Regulations Title 21. Available at: http://www.accessdata.fda.gov/SCRIPTs/cdrh/cfdocs/cfcfr/cfrsearch.cfm?fr=882.5880. Accessed July 22, 2011. 48. American Medical Association House of Delegates. American Medical Association Resolution on the use of FDA-approved drugs and medical devices off-label, resolution number 918 (i-07). Available at: http://www.google.com/search?q=American+Medical+Association+resolution+on+the+Use+of+FDA-Approved+Drugs+and+Medical+Devices+Off-Label,+number+918+(I-07),+&ie=utf-8&oe=utf-8&aq=t&rls=org.mozilla:en-US:official&client=firefox-a#sclient=psy&hl=en&safe=active&client=firefox-a&hs=Hi2&rls=org.mozilla:en-US:official&source=hp&q=American+Medical+Association+resolution+on+the+Use+of+FDA-Approved+Drugs+and+Medical+Devices+Off-Label,+number+918+(I-07),&pbx=1&oq=American+Medical+Association+resolution+on+the+Use+of+FDA-Approved+Drugs+and+Medical+Devices+Off-Label,+number+918+(I-07),&aq=f&aqi=&aql=&gs_sm=e&gs_upl=52992l92788l0l95694l19l0l0l0l0l0l0l0ll0l0&bav=on.2,or.r_gc.r_pw.&fp=4cafd6e9feb08560&biw=1280&bih=669. Accessed August 5, 2011. 49. Salbu SR. Off-label use, prescription, and marketing of FDA-approved drugs: An assessment of legislative and regulatory policy. Florida Law Review. 1999;51:181. 50. Medicare Rights Center. Off-Base: The exclusion of off-label prescriptions. 2007. Available at: www.medicarerights.org. Accessed August 9, 2011. 51. O’Reilly J, Dalal A. Off-label or out of bounds – prescriber and marketer liability for unapproved uses of FDA-approved drugs. Annals Health Law. 2003;12:295. 52. Rogers J. Freedom of speech and the FDA’s regulation of off-label drug uses. George Washington Law Review. 2007;76:1429. 53. Anonymous. Recalcitrant Insurance coverage determination guideline for experimental, investigational and unproven services. 2011. Available at: http://www.google.com/search?q=Experimental+or+Investigational+Services,+2007-2011+Generic+Certificate+of+Coverage+Definition,+guideline+number+CDG-A-010&ie=utf-8&oe=utf-8&aq=t&rls=org.mozilla:en-US:official&client=firefox-a. Accessed August 5, 2011. 54. Beck AT, Steer RA, Brown GK. Beck depression inventory. San Antonio, TX: Psychological Corporation. 1993. 55. Frith J, Newton J. Fatigue impact scale. Occupational Medicine. 2010;60(2):159. 56. Kosinski M, Bayliss MS, Bjorner JB, et al. A six-item short-form survey for measuring headache impact: The HIT-6. Quality of Life Research. 2003;12(8):963-974. 57. Melzack, R, & Katz, J. The McGill Pain Questionnaire: appraisal and current status,Handbook of Pain Measurement, 2nd edition. Edited by Turk DC, Melzack, R. New York, Guilford Press, 2001;35–52. 58. Stewart WF, Lipton RB, Kolodner KB, et al. Validity of the Migraine Disability Assessment (MIDAS) score in comparison to a diary-based measure in a population sample of migraine sufferers. Pain. 2000;88(1):41-52. 59. Farrar JT, Young Jr JP, LaMoreaux L, Werth JL, Poole RM. Clinical importance of changes in chronic pain intensity measured on an 11-point numerical pain rating scale. Pain. 2001;94(2):149–158. 60. Fairbank JCT, Pynsent PB. The Oswestry disability index. Spine. 2000;25(22):2940. 61. Tait RC, Chibnall JT, Krause S. The pain disability index: psychometric properties. Pain. 1990;40(2):171–182. 62. Ware Jr JE, Sherbourne CD. The MOS 36-item short-form health survey (SF-36): I. Conceptual framework and item selection. Medical care. 1992:473–483. 63. Carlson AM. Assessment of chronic pain. I. Aspects of the reliability and validity of the visual analogue scale. Pain. 1983;16(1):87–101. 64. Tait RC, Chibnall JT, Krause S. The pain disability index: psychometric properties. Pain. 1990;40(2):171–182. Beck Depression Inventory (BDI-II):54 A depression test measuring the severity of depression symptoms. The BDI-II is a 21-question multiple-choice self-report inventory that is one of the most widely used instruments for measuring the severity of depression. Each item is a list of four statements arranged in increasing severity (0–3) about a particular symptom of depression. Maximum score is 63 with 20–28 considered moderately depressed and above 29 severely depressed. Fatigue Impact Scale (FIS):55 Designed to measure fatigue. The FIS includes three subscales to assess the impact of fatigue on cognitive functioning (10 items), physical functioning (10 items), and psychosocial functioning (20 items). Each item is rated on a scale of 0 (no problem) to 4 (extreme problem) with a maximum score of 160. Headache Impact Test (HIT-6):56 Used to measure headache impact, including pain, social role limitations, cognitive functioning, psychological distress, and vitality. It is useful both for screening and monitoring change in headache impact. McGill Pain Questionnaire:57 Used to evaluate a person experiencing significant pain. It can be used to monitor the pain over time and to determine the effectiveness of any intervention. Migraine Disability Assessment (MIDAS) Questionnaire:58 Used to help measure the impact your headaches have on your life over the last 3 months and to communicate this more effectively. Numerical Rating Scale (NRS):59 Used clinically for the assessment of pain. Patient selects the number representative of their pain, usually from 0-10, with 0 representing the worst pain. Oswestry Disability Scale:60 A tool that researchers and disability evaluators use to measure a patient’s permanent functional disability. Pain Disability Scores:61 Designed to help patients measure the degree their daily lives are disrupted by chronic pain. Short Form Health Survey (SF-36):62 A multi-purpose, short-form health survey that assesses the quality of life. It yields an 8-scale profile of functional health and well-being scores as well as psychometrically-based physical and mental health summary measures and a preference-based health utility index. Visual Analog Score (VAS):63 Is a measurement instrument that tries to measure a characteristic or attitude that is believed to range across a continuum of values and cannot easily be directly measured. For example, the amount of pain that a patient feels ranges across a continuum from none to an extreme amount of pain. Zong Pain and Disability Index (PAD):64 The Pain Disability Index is a tool designed to help patients measure the degree their daily lives are disrupted by chronic pain.